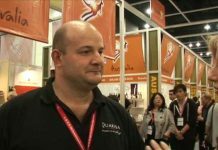 It was the price that grabbed my attention, because you don’t see much wine for less than three hundred baht these days. It comes from Jindalee Estates in South Eastern Australia, established in Geelong in 1997. Jindalee Estates (“We’re wild about our wine”) produce up to 150,000 cases of wine each year – that’s a huge volume of well over a million litres a year, contributing to Australia’s ever-growing wine lake. Australia’s once-mighty wine industry has one of the biggest ever surpluses as supply levels soar and sales fall. The country’s wine surplus is evidently about 100 million cases. Now that’s a lot of wine, if you ask me. Actually, it’s a lot of wine, whether you ask me or not. Anyway, don’t let that put you off, because that’s perhaps one reason why Australian wine prices are so competitive. 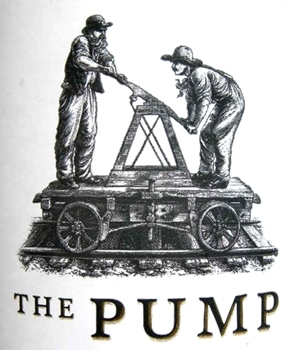 Jindalee makes some high quality table wines, but “The Pump” wines are their entry level range and presumably intended as crowd-pleasers. They are typically easy-to-drink commercial wines with “a fresh Australian style”, to quote Jindalee’s enthusiastic publicity writers again. The wines will no doubt make themselves a lot of friends. And in case you were wondering, the Oriental-sounding word “Jindalee” is apparently an Aboriginal term that means “bare hill”. “The wine,” says the label “is made with a sense of adventure and irreverence.” It all sounds rather fun, but what it actually means is anyone’s guess. Honestly, I haven’t a clue. 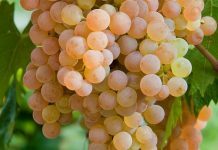 Chardonnay is Australia’s most widely-planted grape variety and in the vast Murray Darling area, they harvest more than 100,000 tons of it every year. 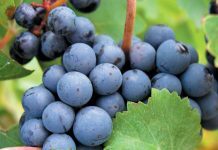 Just in case you’re interested, the region also produces more than 130,000 tons of Shiraz and Cabernet Sauvignon. Anyway, this one smells like a Chardonnay, which is a good start. There’s plenty of warm, sweet fruit in the aroma – notably peaches and melons – and the wine smells more expensive than it actually is. When the bottle has been open for a while, you might pick up a faint whiff of lime too. There’s plenty of fruit on the taste and just a tiny dash of acidity to firm it up. The wine is clean and dry but not astringently so; there’s even a hint of fruity sweetness on the palate. There’s a long, dry and rather pleasing finish too. I rather enjoyed this and I had to admit it rather exceeded my expectations because imported wines under Bt. 300 can sometimes be a bit dodgy. Although it’s quite crisp and lively, it’s very much a commercial Aussie easy-to-drink style. It’s unpretentious and pleasant enough and could well appeal to those people who don’t normally drink wine. It’s fine on its own but could make a good partner for lightly-prepared fish or chicken dishes. For a party it would be ideal, especially at this price. This is a dark, rich red with a fulsome aroma of dark berries. There’s a vague hint of strawberries and dried herbs too. It turns out to be quite a full-bodied wine, very soft on the palate and with supple tannins. Actually, on second thoughts, there’s hardly any tannin at all. In many ways it’s a pretty good commercial everyday wine; plenty of fruit up-front and very much the feel of a Cabernet-Merlot blend. Of course, at this price you’re not going to get “great wine”, but this is a nice little number that you could knock back with cheese dishes or red meats. It’s a heady 13.5% alcohol content, so it would probably be better to enjoy it with food. Incidentally, I’ve found that there’s a huge difference in wine prices in local supermarkets. One of them consistently charges significantly higher prices for wine than all the others, but far be it from me to let cats out of bags. A few days ago, I visited another supermarket in downtown Pattaya and noticed that they are selling these two wines for Bt. 395: a staggering addition of a hundred baht. “Caveat emptor,” as the Romans liked to say. Caveat emptor indeed.